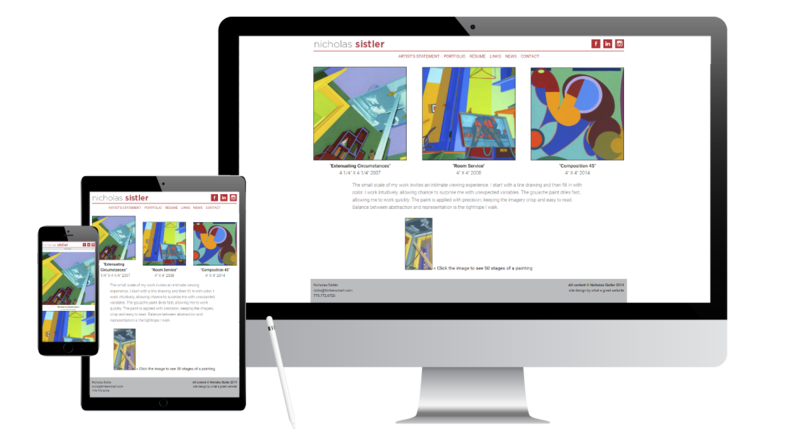 Nicholas Sistler - What A Great Website! His tiny 4” x 4” abstract paintings are jammed with bold, vibrant colors, shapes and angles. They command your attention on a clean, bright website designed to showcase the art. The site features three galleries: one each for paintings, prints (bw) and commissions. A very cool video on the home page illustrates his 50 Stages of a Painting.